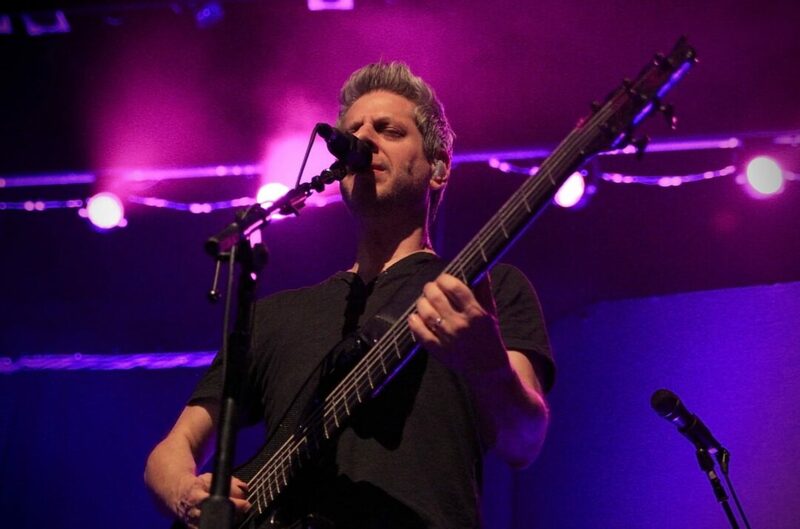 Mike Gordon has returned to the road, with a Fall Tour stretching from the Midwest to the east coast. Having just wrapped up Phish’s Fall Tour in Las Vegas with a performance of David Bowie’s “The Rise and Fall of Ziggy Stardust and the Spiders from Mars,” NYSmusic talked with Gordon about his favorite moment from the instant classic set, the goals of improvisation and what he loves about The Egg in Albany so much. Pete Mason: This is your third show at The Egg in Albany. Your show from 2011 was even released as a live show. What is the appeal of the venue to you? Mike Gordon invites the crowd up to the stage at his Nov. 26 show at The Egg. was a good kind of loud. And it’s nice how it’s just nestled there in Albany. I love that word. Nestling. PM: Is there a moment you hope to reach in improvisation? A certain goal in mind? MG: Not so specifically as a specific goal. There are different kinds of goals in there, set personally or with bandmates, different feelings. I’ve had different unique experiences, some are high energy, some are about a lot of sweat. All moments have to be unique, not just rehashing to feel special. There are kinda high energy ones, some more dreamy – in that department, what I used to say, is that my goal in music is to bridge the gap between being awake and asleep – there really is, in the middle of a jam that feels like it’s playing itself, this kind of opening in my soul or somewhere in my mind that accesses a neural network or feelings that I can usually only sort of traverse in night dreams. That’s why I’ll remember certain night dreams, the feeling, the location, the people, some aspect of it. That’s the biggest goal. Being 100 percent in the moment is the true catharsis of what people have or are overcoming problems. In an experience it doesn’t mean you can’t keep track. When it’s not happening and it’s sort of a road trip to another song, then I forget how deep these experiences can be. Then I’m reminded, and I don’t need to be anywhere else in the world and I can be in a cozy living room or somewhere else. I’ve been in a philosophical mode – my answers are veering this way for interviews lately. There are so many other feelings and metaphors. A complicated answer and definitely something I think about a lot. PM: Why do you feel that is? MG: Switching projects, my album, my daughter – so much going on at once. That allows for some cross referencing and applying one inspiration to another to go back and forth to blend all the experiences together and have it come out either way. PM: What compels you to have improvisation as such a large aspect of your music? MG: I have one band that jams a lot, maybe not enough for fans who want every song jammed out. But enough that St. Vincent made fun of it (the jamming). I think I have that (with Phish), so (with Mike Gordon Band) I can rock and work with catchy hooks in fun ways, or ask “How can we experiment with new sounds?,” but what happens for me, even if it’s not what I’ve been writing about in my journals compared to 30 years ago, these little peak experiences remind me that there is a deeper well to be tapped into than what the surface level of what music can provide. There is something that if you believe in it and allow it to go deep into your soul, it’s deeper than one can remember. Anything they try to read and watch later isn’t going to be the same, when the experience becomes irreplaceable. For me, I just keep getting reminded of total spontaneity and what you can plan for, but there is some planning that is necessary and good. Sometimes I think about how my favorite Radiohead show was really deep and dreamy and all the songs were three minutes long. If something feels really good, I don’t want it to end, I want to bask in it. Like when you get a new video game, you want to keep playing it. I don’t want things to end at three minutes, but if it does that’s okay. With Phish and my experience being in bands with long jams, in the middle of that long jam, something may come up that has nothing to do with the song. Melodies, chord progressions, not as often lyrics, but sometimes lyrics. Made up stuff comes together, almost as a new song, even with its little emotions, flashbacks, dreams, chords, melodies, a whole new little song. So cool to be able to get to that. But wait a minute, this little new song that came out of the jam, taken on its own, could just be a song on the radio – pop, old blues – that isn’t filled with all this cosmic stuff and it’s not a dream song. Maybe there is another route to get there. Maybe there is a different way to get there, by writing songs, that don’t have improv to be enjoyed. PM: “Let’s Go,” which was left off “Big Boat,” was performed by your band this summer at Catskill Chill, and twice this year by Phish. Will the catchy tune have a home in both band’s repertoires? MG: I think so, yeah. Scott and I have been doing a lot of writing over the last couple years and I don’t think I’ve said this before, but it came out of a jam my band was doing, some sort of outro, and I just started singing that chant and saved it, and I loved that chant. My friend Fonzworth Bently (From G’s to Gents) was at my band’s L.A. show, and he loved the show a lot and offered some feedback, “I wish you could address the crowd more, say some stuff,” which is interesting since I’m from a world where we don’t talk to the crowd. I wondered “What would I say?” and my friend replied “What about ‘Let’s go?’” When we played House of Blues Boston, we were Googling this medley as a joke of all the songs that have ‘Let’s Go’ (The Cars, Richie Valens) so we went into a writing session, liking the chant, and working off a list of songwriting ideas, this demo we made had a hip hop groove, it sounded sort of fresh, a fresh style for me, mixing synth guitar and drum machine with live percussion. Trey said he kinda lit up when he heard it – we don’t have a chant, aside from “Fuego.” Big Boat was so open ended where I bring songs that are open ended and have more room to build. Trey put it back on the list in the studio, mid-recording, and Bob Ezrin suggested we try it with only drums, all singing, with no other instruments, all after one take. We added in some toy synth sounds and went through an evolution that didn’t sound right. PM: Were there any lessons from “Big Boat” that you have applied to your own band? MG: There are always lessons. In terms of “Big Boat,” there were a wide variety of songs on there, which stemmed from the lesson with Bob about being more heartfelt and direct about some songs. When Trey first brought “Miss You,” he played his demo for us, just him strumming and singing and it was authentic, he did miss someone. The chord voicing thing, it sounded unique, like Trey. I appreciated the directness. Bob sat us down and talked about taking the cleverness away and keeping emotion, which he’s done with Pink Floyd and U2. When someone challenges you, I like to look at both ends of spectrum. We want to try that out a bit more. I take it as a grain of salt when I realize I don’t know what my songs are about, and that is intentional. Like “Come Together,” where Lennon admitted it was filled in with gibberish, but it sounds so good. Sometimes directness doesn’t work for me, especially if it feels too plain and other times it does. That’s one thing to think about from that experience. Maybe the way the themes were tied together, there were certain nudgings in certain directions. I liked those directions and discussions, and liked to directly go to YouTube and bring up some influences as old as they might be, and learn some grooves from legendary artists and not be afraid. I really like Page’s song ‘I Always Wanted it This Way’ – he spent over 10 years on it. I’ve been really getting into “Petrichor,” being so long and having 22 sections, it is really fun to digest. There’s a collection of little things. PM: What was your personal highlight from the Ziggy Stardust Halloween set? MG: I liked it all. Maybe it was highlight of rehearsal for “It Ain’t Easy” and Trey got to sing while I played one note. At the show I think it was different, really all of it together, just a feeling of how comfortable I was doing it. As we always do getting into the mind of another artist, I really like being in that world but feeling like myself, but I liked singing “Starman” because it was the first song everyone knew that was a hit. Having everyone singing along felt amazing. PM: What books, movies and music have you been enjoying this year? MG: It’s actually a book Phil Lesh lent me – I have to get this back to him – “In Perfect Timing” by Peter Caddy, about the formation of a community in Ireland where the term ‘New Age’ came from where they use spiritual guidance: “I can do it” and “I can climb the biggest mountain.” I’m slowly getting my way through it. I love the weirdness and empowerment feeling. I’ve been checking out producers and such, my bandmates provided these albums they’ve been listening to and mine hasn’t gone out yet. Warpaint, Can, my daughter is now only spinning Megan Trainor. She had gone into World Pop 40 on Spotify, and now she has been listening to it as a guilty pleasure that she comes up with. So sonic to indie to pop to indie pop to kraut rock. NYSmusic.com is a web magazine focused on all aspects of music in and around the state of New York. 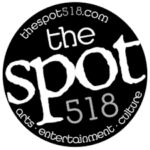 You can often find content from NYSmusic.com within the pages of TheSpot518. For more, visit NYSmusic.com.